Sharing plans for, and stories from, Mercy Day Celebrations 2015. We welcome your stories and images! Misericordia University will celebrate its founding by the Religious Sisters of Mercy from Sunday, 20 September to Friday, 25 September with a series of events for the campus community and public during Mercy Week. 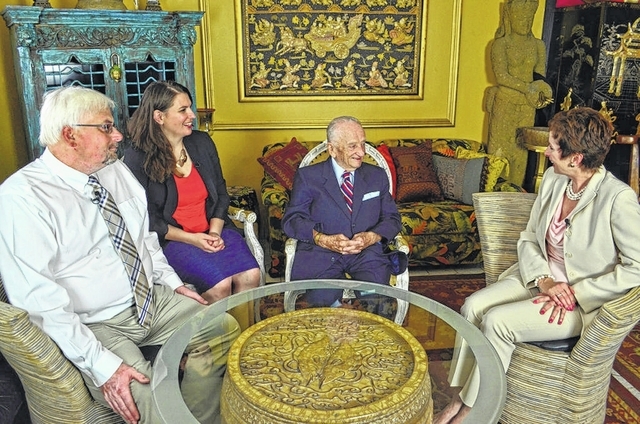 The schedule will include a documentary presentation of the only surviving member of the prosecution team, Benjamin B. Ferencz, of the Trial of the Major War Criminals before the International Military Tribunal in Nuremberg, Germany. There will also be a book reading, lecture, five Masses, a “Stuff the Bus” donations collection and a service project for students. In addition, there will be a service fair for students to introduce them to service opportunities in the community. I am looking forward to spending the morning with a group of Sisters and the Parish Community of St Joseph's Queens Park. Mass, for a concert and refreshments and many a catch up with former pupils and families. They are celebrating 100 years of the foundation of their school by the Sisters of Mercy. The original Sisters travelled from Victoria Park, each day in a very slow moving steam train and taught in the wooden church, returning each evening. Very significant also, was that this foundation at Victoria Park had been made from Derry Northern Ireland in 1899. I am also looking forward to catching up with Geraldine Byrne, the author of Valiant Women - a compilation of the letters of the Sisters of Mercy who came in 1846 from Dublin. Geraldine's aunt, Sr M Xavier Byrne, was one of the earliest students at St Joseph's. Although I am the only Sister of Mercy in the Diocese of Lubbock, in the Texas Panhandle, the four Mercy Associates and I are planning to make a “pilgrimage” to visit the small town of Umbarger, Tx., where our Mercy Sisters taught in the elementary and high school for many years. St. Mary’s Catholic Church there is unique in that it houses some wonderfully preserved murals of Catholic Art, lovingly painted by a group of Italian prisoners-of-war during WWII, who received nourishing food cooked by the parishoners in recompense for their artwork. St. Mary’s is some distance of about 100 miles from Lubbock, so it will take us a good portion of the day to travel there and back, but it is not very far from Canyon, Tx. where there’s a branch of the University of Texas, and several legendary “eateries”, where we can get lunch. We think Catherine would be glad to see us visiting the site of one of our former ministries, as well as the Church where one of the Italian painters painted a mural of the Assumption of Mary, using the memory of his own wife’s face for Mary, and his small daughter for one of the angels! Many Blessings on all the other plans for celebrating Mercy Day!